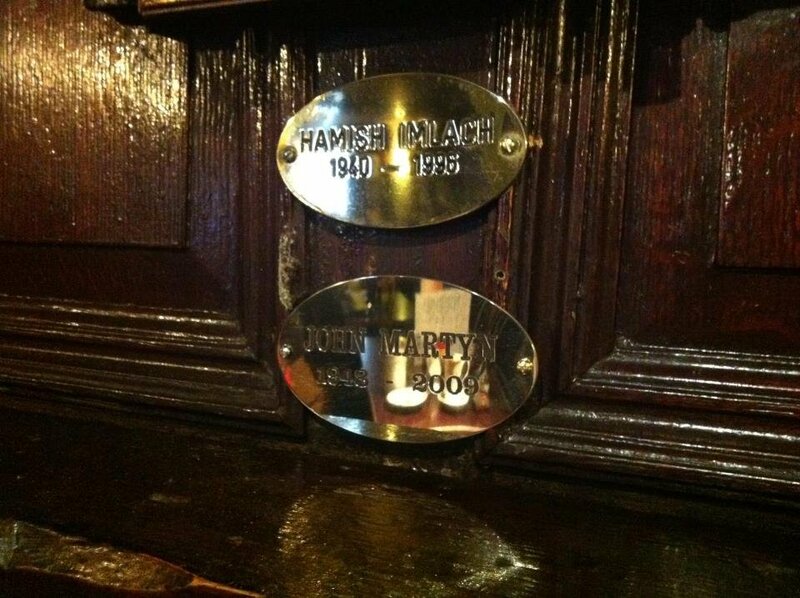 Jim McKnight, who knew John well, had this plaque made and installed in the Scotia Bar, Glasgow on 18 February 2012. "It is placed under Hamish Imlach's, which has been on the wall since Hamish died, as Hamish was John's mentor." Nice touch. The Scotia Bar (established 1792) is the oldest pub in Glasgow and can be found at 112-114 Stockwell Street. A third plaque has been added for Gerry Rafferty. Read more about Scotia Bar.. 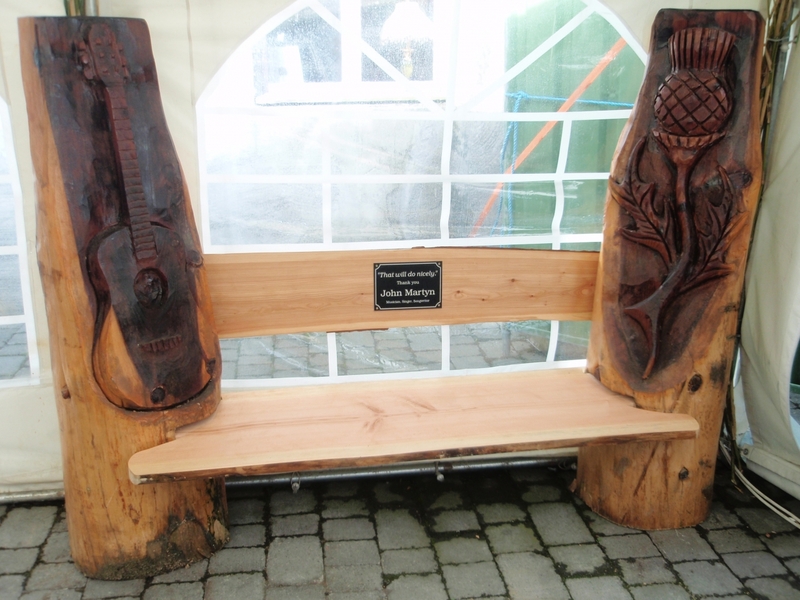 This seat is to be admired at Carroll's Bar in Thomastown, Kilkenny. Pub owner Bill Carroll had it especially made for John. Imagine that you're a huge fan and you discover your hero is coming to live in your home town.. 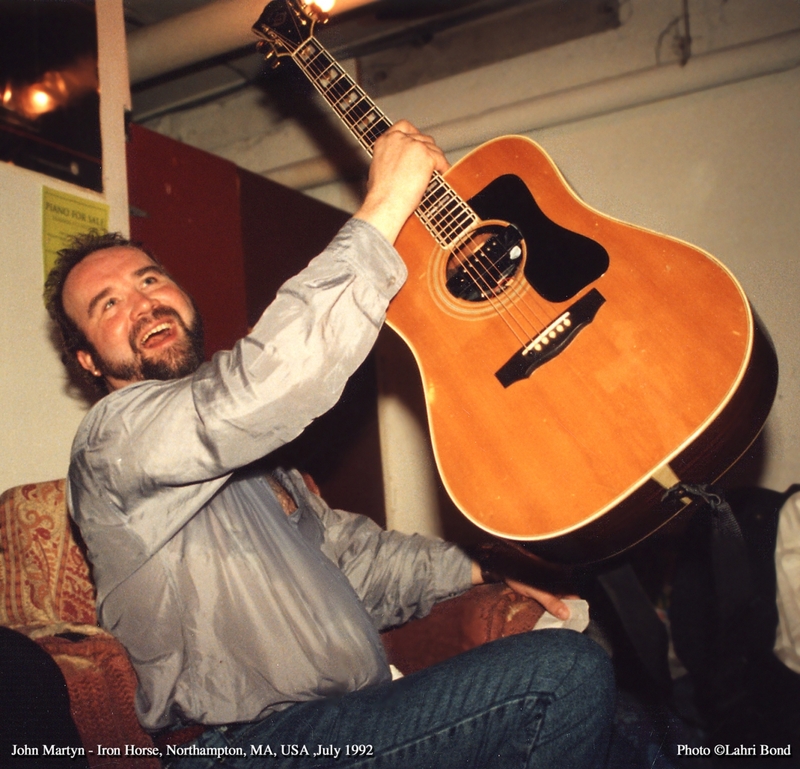 Apparently John's comment was 'That will do nicely', according to the the sign which continues 'Thank You | John Martyn | Musician, Singer, Songwriter'. 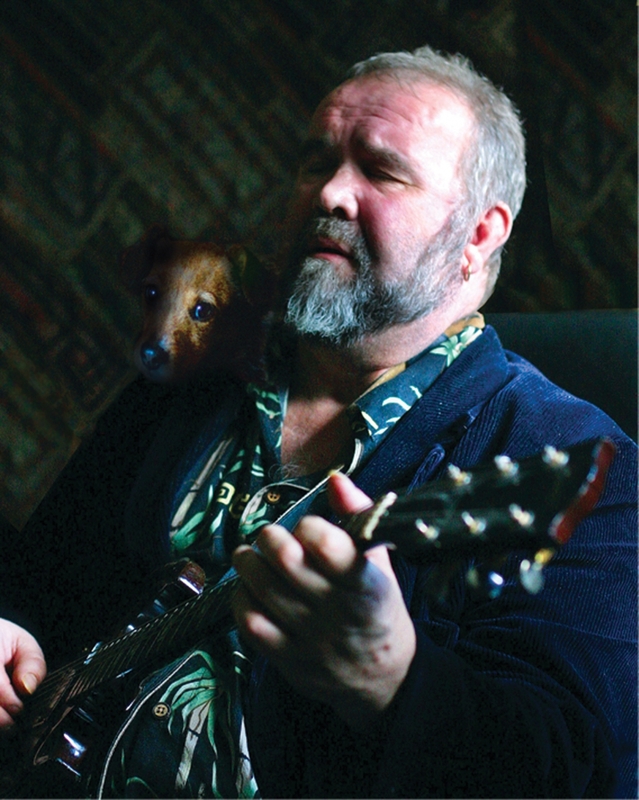 I took this picture during the first John Martyn Tribute Festival, Saturday 10 September 2011. 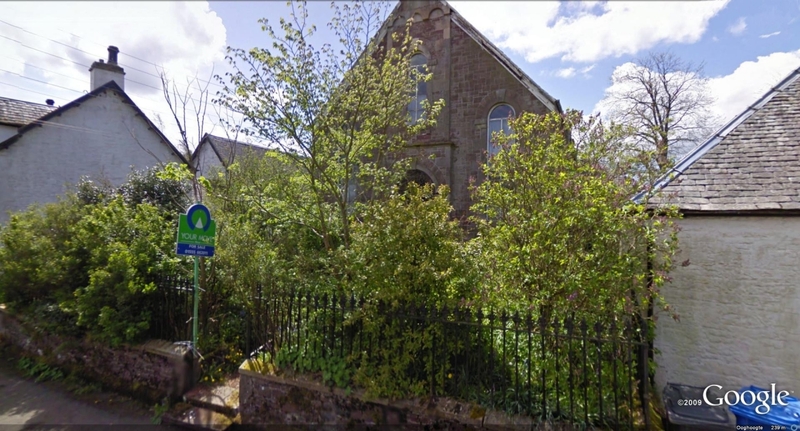 For a long time Roberton, Lanarkshire was a bit blurry in Google Earth. But in the course of 2009 things became better. When I finally managed to dig up this picture, taken in street view, it was a bit of a shock to find out John's recording studio apparently was for sale. Spencer Cozens, Big John and Arran Ahmun. The boys in the band with the bus. 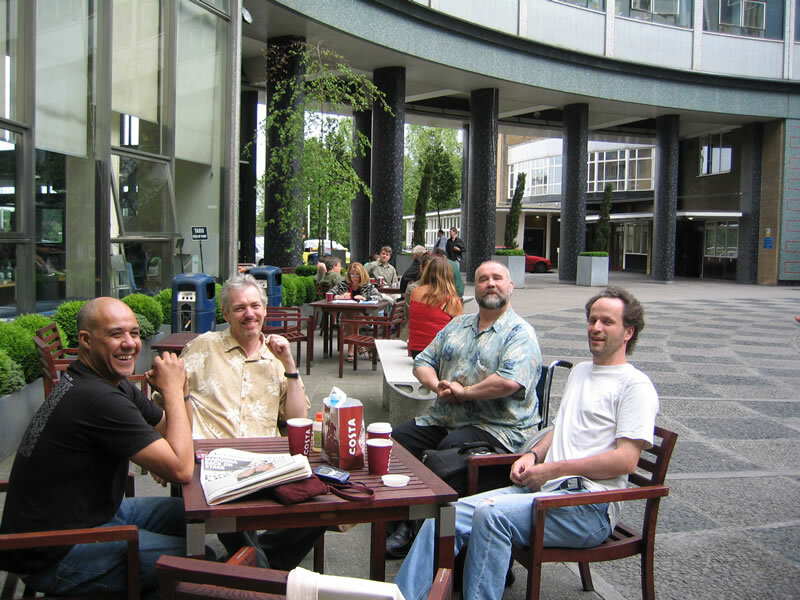 Arran Ahmun, John, Alan Thompson, Spencer Cozens. Taken at the BBC studio building just before a performance of Later with Jools Holland. 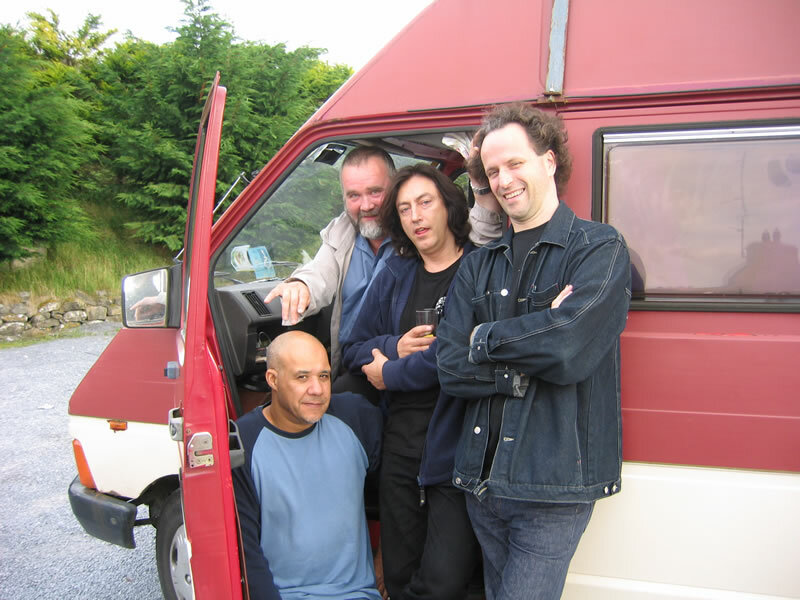 Arran Ahmun, John Giblin, John and Spencer Cozens. 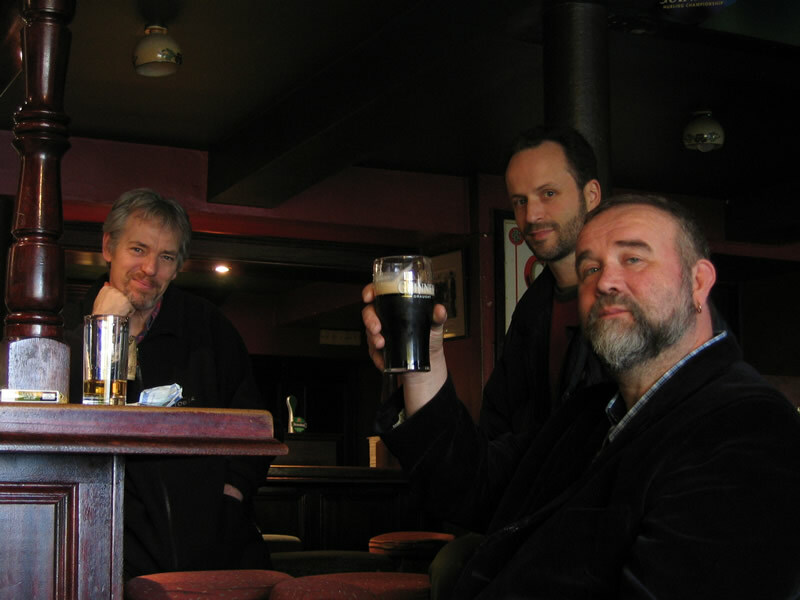 Taken in the pub; John Giblin, Spencer and John. I suppose Arran Ahmun was the one behind the camera. 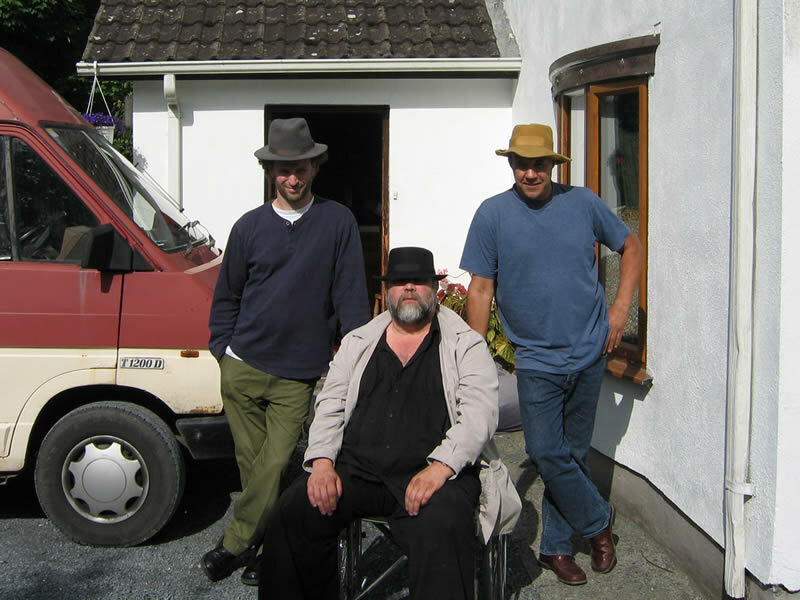 This picture was taken on the 16th April 2003 at John's home in Thomastown, county Kilkenny by local photographer Dylan Vaughan. He took at least twelve pictures. This one was used on the cover of Heaven And Earth. Gizmo the dog however was added afterwards from a separate picture taken the same day. 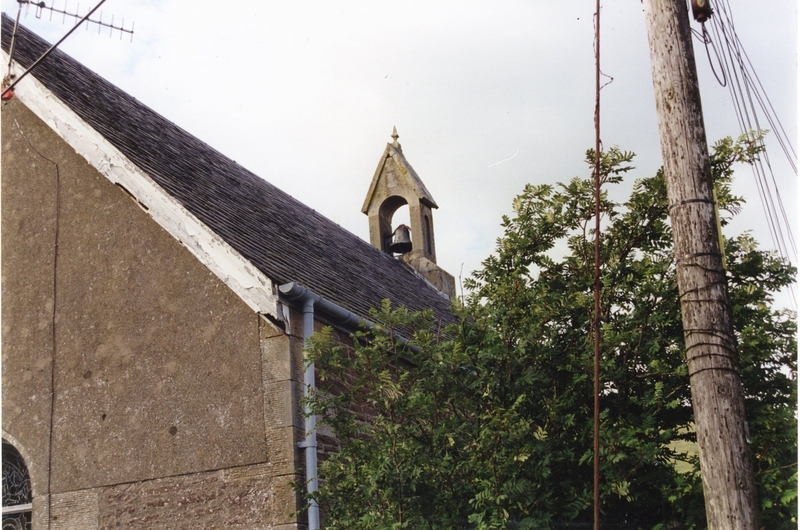 Jos van Oost took this picture when on vacation in Lanarkshire in 1998. As you can see for yourself, the Church With One Bell well deserved a paint job at the time. This is the Roof of the House of the Holy. "John had just come off the stage and was soaking wet from sweat. I had a great talk with him, leading to the interview published on the site." John was touring the US that summer. A nice touch is the 'Piano For Sale' sign behind his head. "Hi fans! Welcome to the furniture auction. Good evening, tables and chairs."